Manda: Was this my exact reaction? Pretty much. Errol CAN get a cable that lets him hook it up to his older tv. 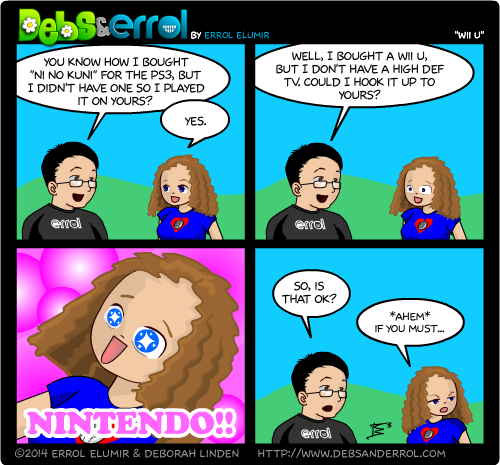 But until then…NINTENDO! His girls will love windwaker. Add me, what’s your Nintendo Network ID? Love the NINTENDO frame! Classy/Classic!